5. Remember to drink responsibly! I highly recommend making lots of friends around the campsite and sharing this tasty little beverage. Especially if you plan to eat any of the fruit, a cup or two will be plenty. Trust me. 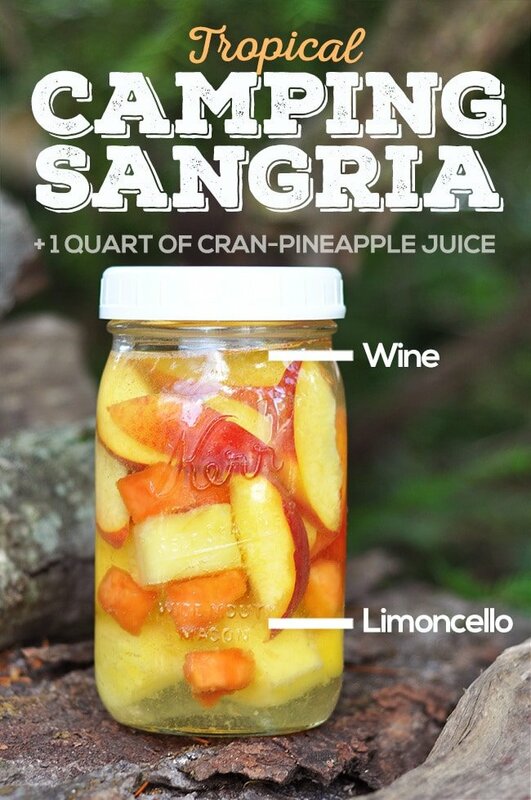 This is camping sangria. Meaning it’s specifically designed to travel, making it the perfect make-ahead cocktail to take camping. I first made this sangria on the fly before a camping trip and just used random fruit and soda I had on hand. What I had, happened to be grapes, peaches and strawberries. A little bit random. But it wasn’t bad! What fruits work best in this sangria? Truly, any combination of fruits can work in a sangria. You can get as creative as you want when you pick your fruits. I made another batch and tried to pick more tropical fruits in order to give it that vacationy-vibe! So choose your favorite fruit combo. What can you use to mix in? You can also choose your favorite carbonated beverage. I used Fresca because, again, that’s what I had. Any carbonated or non carbonated juice works. I just happen to enjoy the bubbles. What type of vodka works best? You can also try flavored vodka. That’s another way to customize the taste of this sangria. The possibilities are endless! Make this sangria your own! Every time you go camping, have fun and mix up a new flavor combo to share! It’s a sure way to meet fried around the camp site, I’ll tell you that, ha! Feel free to share any variations you’ve tried in the comments below. You’ll see my tropical variation if you click to the left on the image slider above where I used Limoncello (instead of vodka) peaches, pineapples, papaya and cran-pineapple juice for a more tropical flavor. Campsite luau anyone?? A company right here in my town of Erie, PA invented these awesome mason jar pour caps. 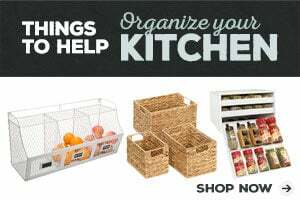 This is great for this particular recipe because it allows you to mix up and store your sangria concentrate. Then you can repurpose the mason jar as a drinking glass with a lid once you mix the sangria in your pictchee! The lid keeps out bugs and prevent spills (party foul!). 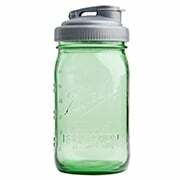 You can buy the mason jar pour caps on Amazon. Oh and since you’re cool campers like us, check out our Campfire Rotisserie Chicken recipe and my Pinterest board dedicated to other camping-friendly food and drink recipes. I just tried this recipe this weekend. I customized it to try what I liked and it was so yummy! I did the same fruit but I chose to use 44 north (huckleberry vodka), barefoot moscato and fresca. It was amazing! I would recommend a sweet wine to compliment the fruit but dry works too. I would go with whatever type of wine you normally prefer. That’s the beauty of this sangria. It’s totally customizable to your own preferences in fruit or wine. I have made this several times using frozen mixed berries and peaches plus a slice orange, AWESOME! Are you able to just leave the fruit out of this? Also would you be able to freeze it for it to stay cooler longer ? You only need the fruit to make it authentically “sangria” but if you aren’t worried about it being authentic, then I think you could do without the fruit and it would still be decent. Or maybe substitute some juice for added flavor. I haven’t tried freezing it, but that’s not a bad idea in order to keep it cold longer. I would not freeze it in a glass mason jar though since that could break the jar. I just transported mine in an insulated cooler bag and then served each cup over ice that we picked up at the general store on the campgrounds. Thanks for the good questions. Enjoy! Never had this before. So do you serve the drinks with some fruit in each cup also or do you keep it in the container for a 2nd mix of refills? Hi Mondo, You can serve sangria with or without the fruit, just keep in mind the fruit does absorb a lot of alcohol so your drinks will be very strong and if people eat the fruit too then they are really going to feel it! You can refill for a second round, but the fruit will loss some of it’s flavor-enhancing powers. Camping right now with my new favorite camping drink! Have you tried this with other fruits? I’m not sure about the peaches? You can use any fruits. Peaches happen to be one of my favorites but I realize I may be *special* so yes, absolutely, mix it up. Try different fruits and flavors of vodka. Whatever sounds good to you, mix it up! Never tried watermelon but sounds yummy! I think the flavor would be really sweet and summery. I think this would be OK to make and chill for a few days as long as the fruit is relatively fresh when you start. I do think it would be better if it’s chilled for less time though so the fruit doesn’t start to break down. I actually found a 12pk of Fresca in my local grocery.. i fixed half the mix with 2 cans. . then i tried Sprite for the last bit and we lijed it much better! Thanks for the tip! I think I’d like Sprite better too. I’m totally a lemon-lime girl. I just happened to have leftover Fresca that no one wanted when I made this the first time, lol.